- It conveys plastic granules to the injection mould machine with ease. It is easy to operate and its filter system makes it possible to be used for a long time. An independent filter device facilitates dust removal and noise reducing installations for silent operations. The machines are available in conveying capacity ranges of 300Kg/hr. 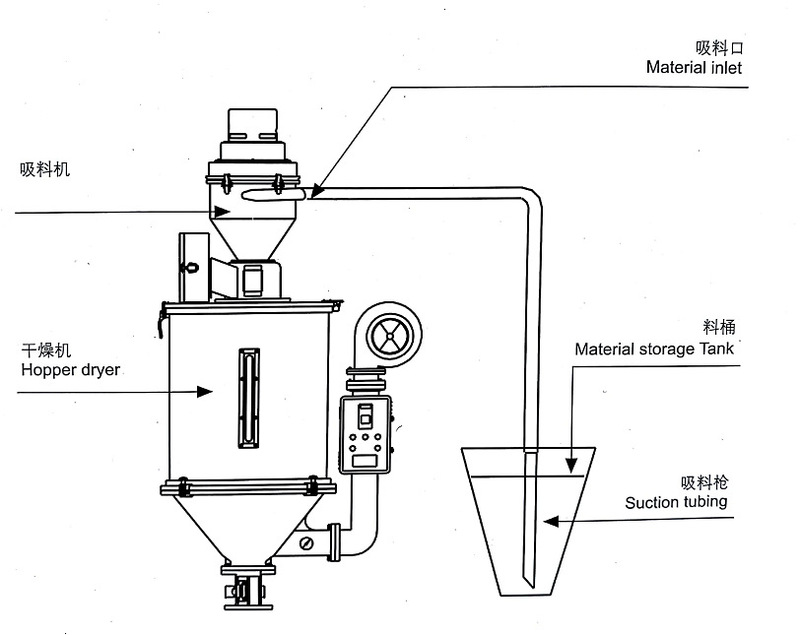 Vacuum Auto-Loader, has found a large number of users swear by the qualitative parameters of this product. - The vacuum feeding machine is applicable for conveying raw materials and granulated materials for avoiding pollution. It is featured by microcomputer control, simple operation and easy repair, and may automatically alarm when there isn't material. Stainless steel material chamber door for protecting the materials from pollution, independent filtering device. 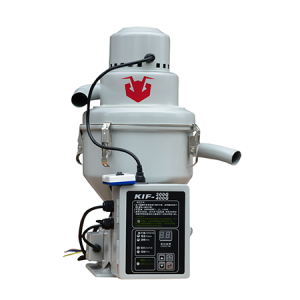 It is convenient for removing dust, adopt double pole switch to control the feeding action (optional), motor protective device, filter observing window. Two-material proportional valve is optional for mixing new material with granulated material or immediately recycling granulated material. - Start the machine, press SET to set sucking materials time, keep on press INC and DEC to increase and decrease the time within 3s. The manufacturer-set time is 15 seconds. - Press RUN to start sucking, press again will stip sucking; The machine will stop working and sound alarm with three times no materials sucking; The machine will automatic sucking materials once power on reset if you haven't stop the working machine beforfe power dump. - Set loading time when machine on stop condition, after that the machine will feeding automatic. - Set the sucking time which should be the time length needed for the sucking to fill 90% of the storage tank. - Periodical examination and cleaning air filter device. - Clean the filter net once the sucking abating. - Change the carbon brush in time, while strange sound, spark appear or current increase of motor. - Alarm for shortage of material. - Adopted high-speed motor, small volume withstrong suction power, suitable for different types of new materials.